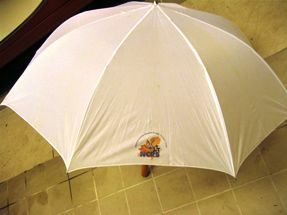 Welcome to our NCRS - The Dutch Chapter web store! 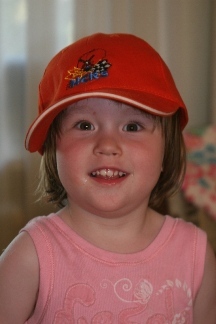 This page provides an overview of the NCRS merchandising available via our web store. These items can be ordered by by putting them in your shopping basket and settle the bill either via PayPal or credit card. 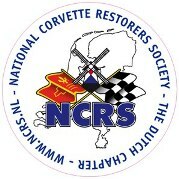 This self sticking transparent window decal (to be positioned at the inside of your car) has our new logo surrounded with the text: National Corvette Restorers Society - The Dutch Chapter - www.ncrs.nl. Be sure everyone knows you are an active supporter of our chapter and order one today! 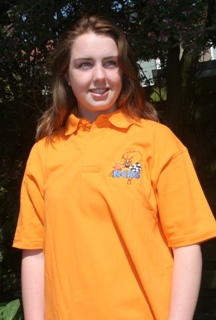 The white NCRS - The Dutch Chapter polo shirt is printed on the left breast with the Dutch Chapter logo and has our internet web address printed on the right sleeve. The US Base branded shirt is made of 65% polyester and 35% cotton. 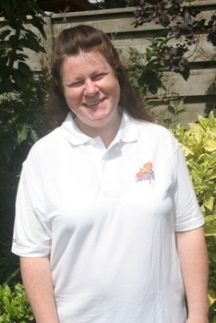 If you are wearing the orange NCRS - The Dutch Chapter polo shirt it is crystal clear you are a warm supporter of our chapter! On your left chest our new logo is embroid and on the right sleeve our site address can be found. The Slazenger shirt is made of 100% cotton and won't fade during washing. 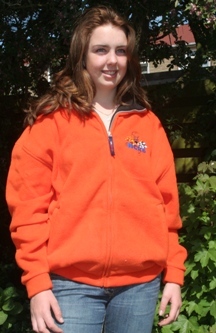 The NCRS - The Dutch Chapter fleece sweater provides excellent warmth during those nice Corvette road tours! On the left chest our new logo is embroid and on the collar our website address can be found. The USBasic sweater is made of high quality material and is colourfast. To complete your Dutch Chapter outfit the cap will be the finishing touch. Available in two flavours (with or without white edge). One size fits all!